Each year, our church supports a range of missionary programs and ministry areas such as: Bibles for the Persecuted, TEAR Fund and the annual TEAR Most Useful Gifts Catalogue, as well as the Samaritan’s Purse: Operation Christmas Child appeal. From time to time, some of our own church members have been involved in short-term mission trips, visiting and supporting missionaries in their work overseas. On the first Sunday of each month, a Mission Spot is included in all services, providing an opportunity to focus on one specific missionary couple or missionary program each time as they continue to serve the Lord and take the Gospel message to people in remote communities. At the same time, the Mission Spots serve as a timely reminder of their need for our ongoing prayer support and financial support. 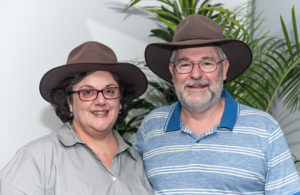 Colin and Alison used to be members of our church at Penrith and now work as full-time outback missionaries for Presbyterian Inland Mission. Named after the Mungo National Park which lies almost at the centre of the Mungo Patrol area. The northern boundary of the Patrol runs from Broken Hill/South Australian border via Menindee to Ivanhoe down the Cobb Highway via Hay to Deniliquin across to Kerang. Following the Murray River to Robinvale the boundary crosses into north western Victoria following the Mallee Highway to the South Australia border and then north up the South Australian border to the Broken Hill area. The Patrol falls within, and exceeds the bounds of the Presbyteries of the Riverina and North-West Victoria. In more recent times the Patrol has been associated with the Sunraysia (Mildura) and Kerang Presbyterian Churches. Andrew and Michelle Blumer are working alongside a local evangelical church in Vienna, Austria. As well as ministries within the church, they are both involved in English teaching in the wider community, in order to reach out to people outside the church. They are serving with Pioneers Missionary Society and are linked with APWM. Rick and Kayleen Manton have been working in Mount Druitt for almost twenty years amongst the indigenous people there. They have many youth programs and run discipleship programs for the adult members of the congregation. They are looking to the Lord for guidance and direction for the future beyond 2017 and have asked that we pray with them regarding this. They have also asked us to pray for health and strength for God’s help in building an indigenous church in Mount Druitt that will be stable and lasting. 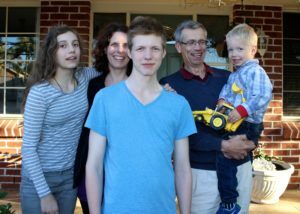 They are serving with Australian Presbyterian World Mission (APWM). Presbyterian Churches are some of the most passionate churches about Bible teaching. But we don’t merely want to be hearers of the word. We want to be doers. Jericho Road is where that can begin. It’s a unifying program that gives each of us a different way to practically show Christ’s compassion in the community – either through some of the work of Presbyterian Social Services or through fresh initiatives around the streets where you live. The inspiration, of course, is Jesus. He told that most famous of road trip stories – of the Good Samaritan. That one man, who had no great organisation behind him, but transformed someone’s broken life because he stopped to help someone in need. But Jesus stopped on Jericho Road himself. First to bring healing to Bartimaeus. Then, to bring in a social outcast called Zaccheaus. What will you and your church do on Jericho Road? Take a look around to see what inspires – then contact us so we can help you get started. Please pray for the ongoing work carried out in the name of our Lord by these families and the many others who continue to spread the Good news beyond our local church. Keep praying, especially for those who are yet to hear the Gospel for the first time!